The Target Saver: Target: Fingerlings Interactive Pets, Only $6.33! Target: Fingerlings Interactive Pets, Only $6.33! 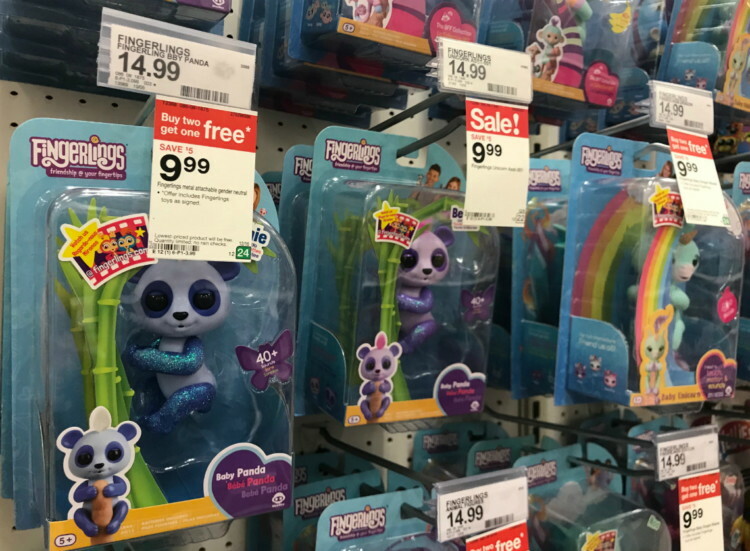 Right now you can score these Fingerlings Interactive Pets are on sale for $9.99 at Target, down from $14.99. Even better, there is a buy two get one free promotion to save even more. This deal is available in stores and online. Then pay with your Target REDcard to save an additional 5%, and shipping is free for everyone through 12/22.